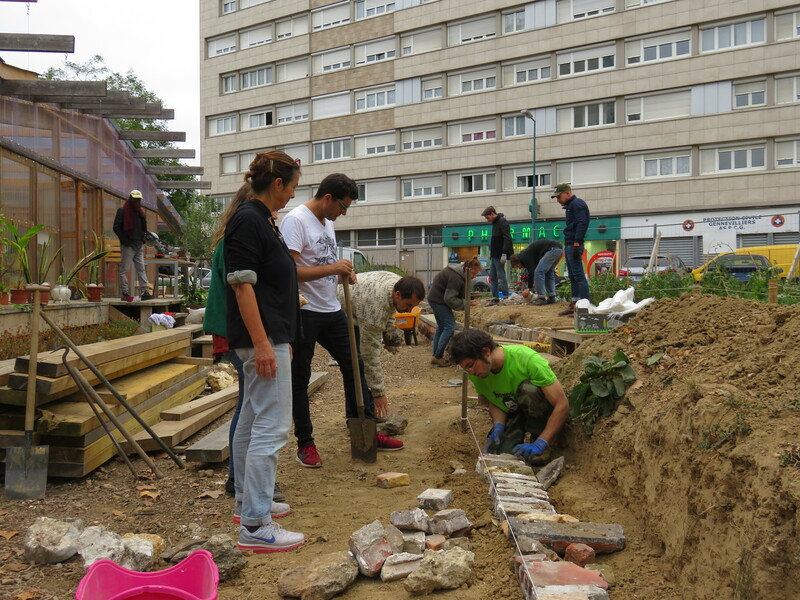 The Agrocité of Gennevilliers welcomes a new development: a retaining wall made of re-use tiles! This wall was created during a workshop in collaboration with Léonard Nguyen Van The, the Nanterre neighbourhood management, members and volunteers. 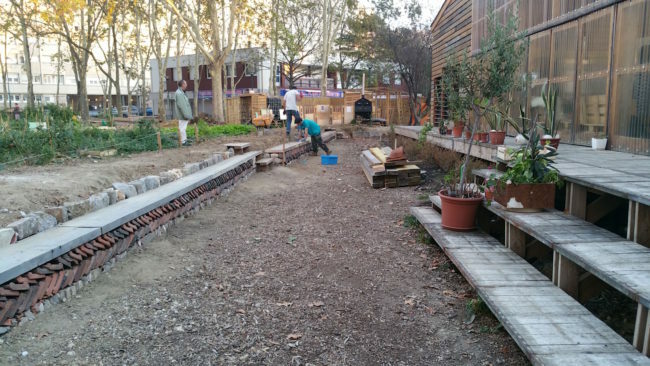 This wall has several objectives: to stabilize the upper part of the garden while allowing a friendly seating. 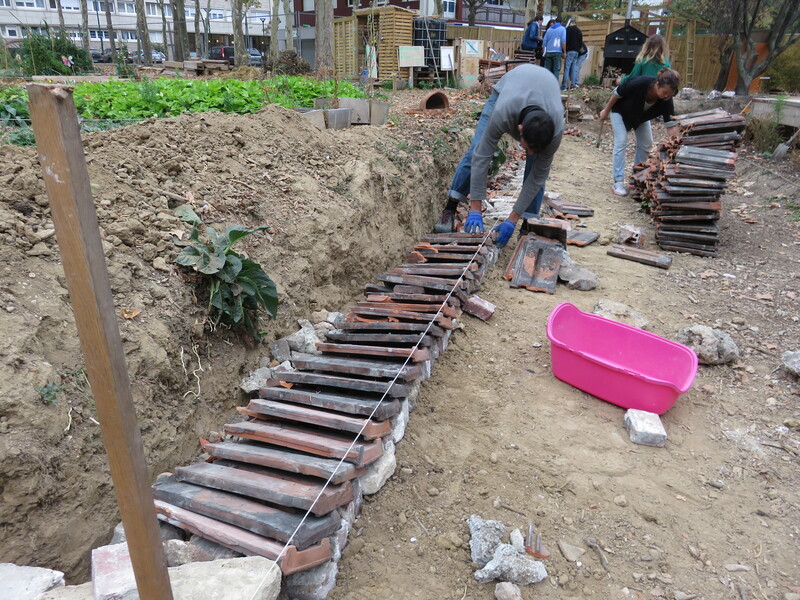 All the materials used for the construction of this wall have been reused. 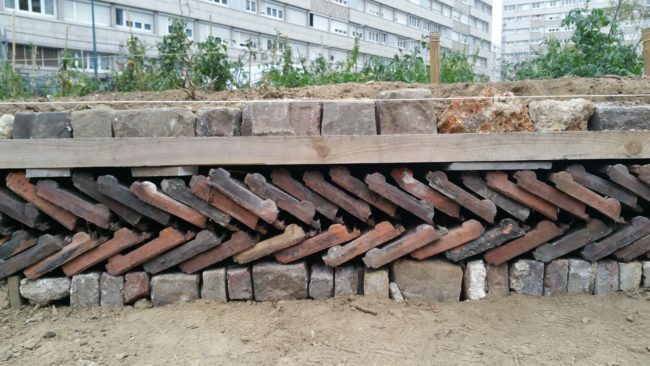 Indeed, the tiles and bricks come from a hall under deconstruction in Gennevilliers while the wood comes from the exhibition “La passerelle enchantée” on the Pont des Arts in Paris.